In his later life, the famous psychoanalyst Sigmund Freud’s Chow Chow called Jofi attended all his therapy sessions with his patients. The story goes that Freud could tell quite a lot about a patient’s state of mind by Jofi’s behaviour. If she positioned herself close to the patient, the patient was in a relatively calm state of mind. If she lay down on the other side of the room, it was obvious that the patient was anxious. What’s more, Jofi had an exact internal clock that went off after exactly 50 minutes, when Jofi would start yawning and stretching, letting Freud know that the session has reached its end. Well, with its unique looks, the Chow certainly does look unlike any dog you’re likely to cross paths with. Its very straight back legs give it a stilted, gracious gait while its short, compact face with handsome mane certainly warrants its comparison to a lion. In terms of size, though, it’s considerably smaller than a lion, standing around 45 cm high at the shoulder and weighing in at 18 to 31 kg. Today the standard colours for a Chow Chow include red, black, blue, cinnamon and cream, with lighter shades of the same colour on the tail and mane (of course when dog breed manuals talk about ‘blue’, they don’t actually mean blue as in Smurfie blue, but rather a dark grey with a hint of blue). Two types of coat variations are also present in pedigree Chows: rough and smooth-coated, with the rough-coated variety having that recognizable thick parka fur look. Unfortunately, the comparison to parka fur is not far from the truth, well, at least it wasn’t in ancient China and Mongolia where the breed originated. Apart from their function as hunting dogs, the breed’s beautiful fur was also used to line coats whilst their flesh was considered a delicacy! Fortunately, the cruel practice of eating dogs was outlawed in China in 1915. 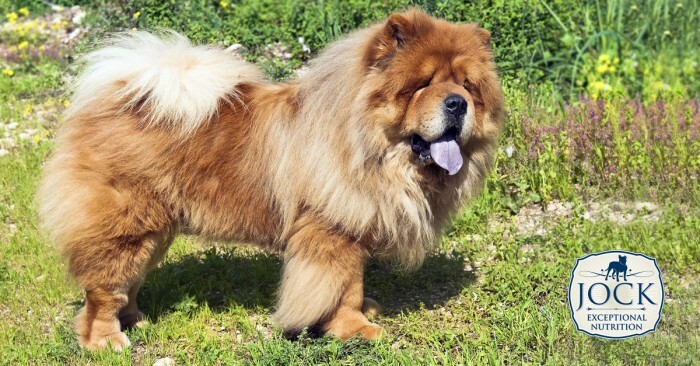 Interestingly, the Chow has a unique black-blue tongue and in China it’s actually called the black-tongue dog (hei shi-tou), wolf dog (lang gou) or bear dog (xiang gou). Incidentally, the western name, ‘Chow Chow’ refers to the miscellaneous items aboard a cargo ship, a term used in the 18th century when the first Chows were brought to Europe where it was recognised as a breed in the late 19th century. In China, though, the breed has existed for centuries with imagery of Chow-like dogs appearing in art works as early as 200 BC. The Chow Chow is, in fact, one of the 9 ‘ancient’ dog breeds more closely related to the wolf than all the other dog breeds. 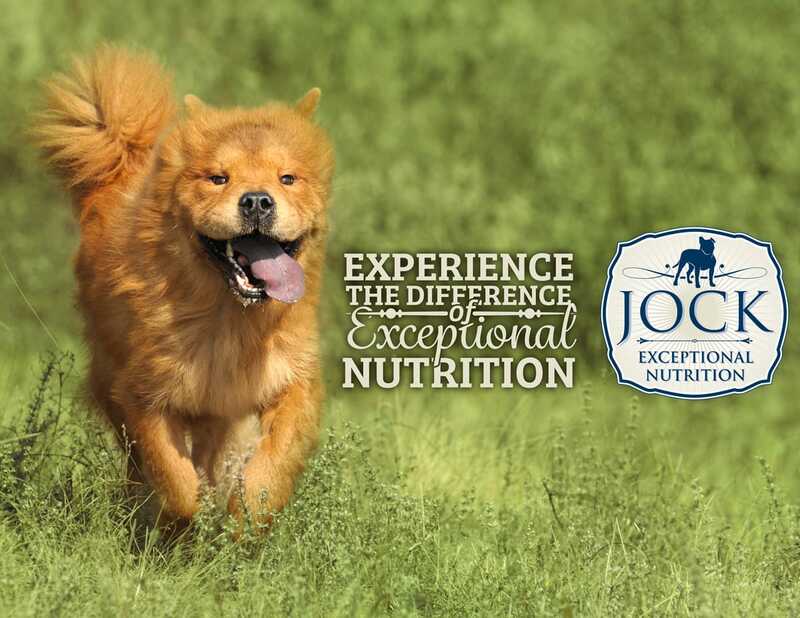 In terms of general health, the Chow is a relatively healthy breed, apart from being prone to eye irritation caused by its abnormal eyelids — although this can easily be corrected with surgery. Most Chow Chows live up to about 15 years. Is a Chow Chow the dog for me? Apart from looking a bit like a small lion, this breed indeed also has a similarly strong personality which requires an owner who is willing to take the alpha role in the dog’s ‘pack’. Chows tend to become attached to one or two owners and can become fiercely territorial towards other dogs and humans if they feel their space or owner is being threatened. They can also be quite aloof, stubborn and hesitant to interact with strangers. For this reason, it is extremely important that a Chow is trained and socialised from an early age. When exercised regularly, the breed makes an excellent indoor dog. In short, if you have small children or lots of other animals in your yard, this breed might not be the prudent choice. If you’re strong-willed and willing to lead the pack, a Chow Chow might just become your loyal china.